When video collector Mark Cambria watches a mysterious VHS tape, he begins talking in his sleep in a language that doesn't exist. Mark and his girlfriend Tamra set out to investigate the tape's origin and find themselves caught up in a web of conspiracy, occult, and dread surrounding a legendary video store with a sinister purpose beyond imagining. 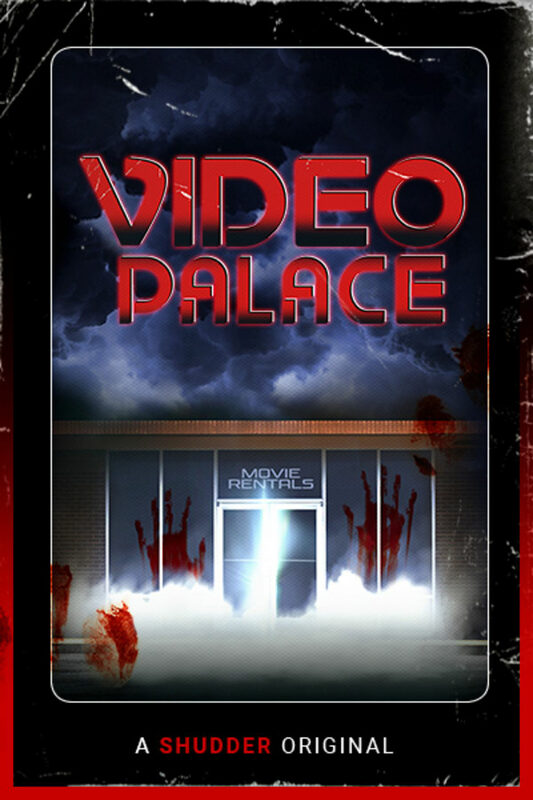 VIDEO PALACE was created by Nick Braccia and Michael Monello. A SHUDDER ORIGINAL PODCAST. Mark's extended interview with Adam Green. Mark's extended interview with Brian Collins. Mark's extended interview with Eric Spudic. Mark's extended interview with Samuel Zimmerman. Drags a bit sometimes and story is not very original, but I did enjoy it and was kept entertained. Hope there more Shudder podcasts to come. This was a lot of fun. It had me hooked on the first episode. This was a really well done pod cast. Great acting too. I love this!!! I'm only four episodes in and I am hooked. I love everything about this podcast. The story is mysterious, creepy and intriguing and I hope there are more shows like this on Shudder cause I honestly can't get enough of it.